Same old, same old is not always a bad thing, especially where Bobbi Moneysmith is concerned. She is nothing if not consistent in the upbeat attitude and positive outlook she brings to work every day. Bobbi is a production professional who fills in wherever she’s needed. 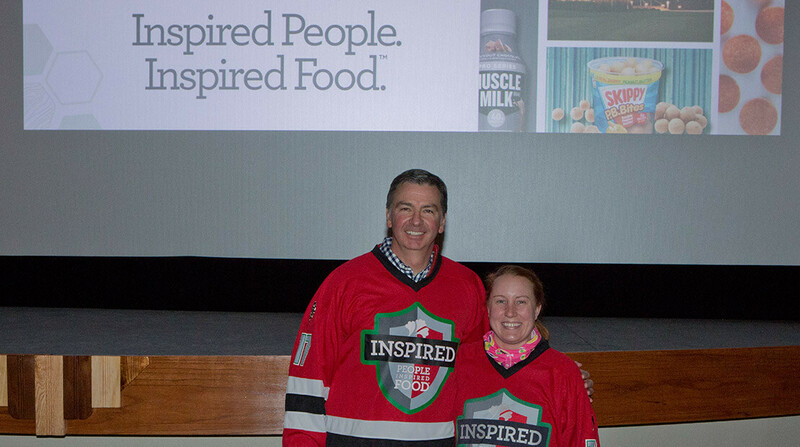 She’s also the first of her colleagues at the Knoxville Plant to earn the right to wear the Hormel Foods jersey. 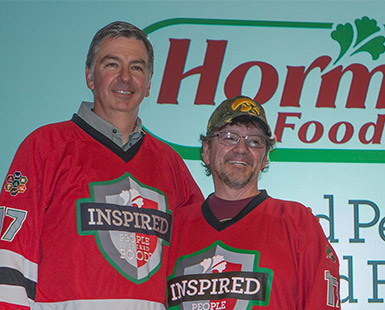 Referred to as as Pride of the Jersey, the program is a companywide initiative designed to recognize those employees who live the Hormel Foods values on a daily basis. 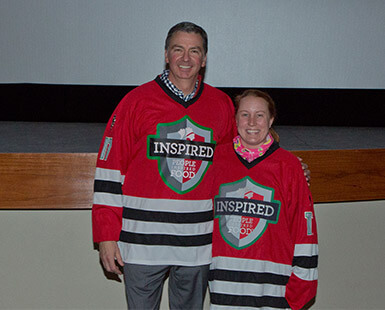 A specially branded hockey-style jersey is passed from one employee to another, an outward sign of each employee’s contributions to the company culture. Bobbi was nominated and chosen unanimously by Pat and his management team. 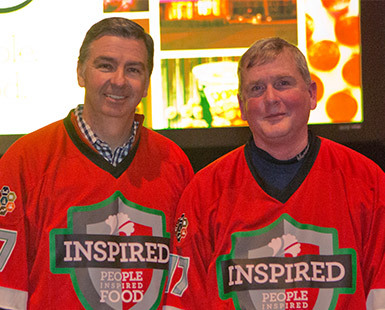 The group vowed to keep the news under wraps for a few days until Hormel Foods President and CEO Jim Snee got to town to hold an all-hands road-show meeting, where he made the Pride of the Jersey announcement. That included being cagey while touring the plant with Snee. Bobbi was training in the smokehouse when the group stopped by. Yet, it still didn’t register with Bobbi. Then she heard her name called and made her way to the stage. “I had tears in my eyes,” she says. Bobbi made the most of her time with the jersey, which goes to a new recipient in the plant after her time with it. She wore it at work the first day and out to dinner with family and friends. She also wore it to a hockey game, which she thought was appropriate, given the style of the jersey. She is nothing if not consistent in the upbeat attitude and positive outlook she brings to work every day. Knoxville is a town of about 7,300 and the plant figures prominently in the community’s pride points. 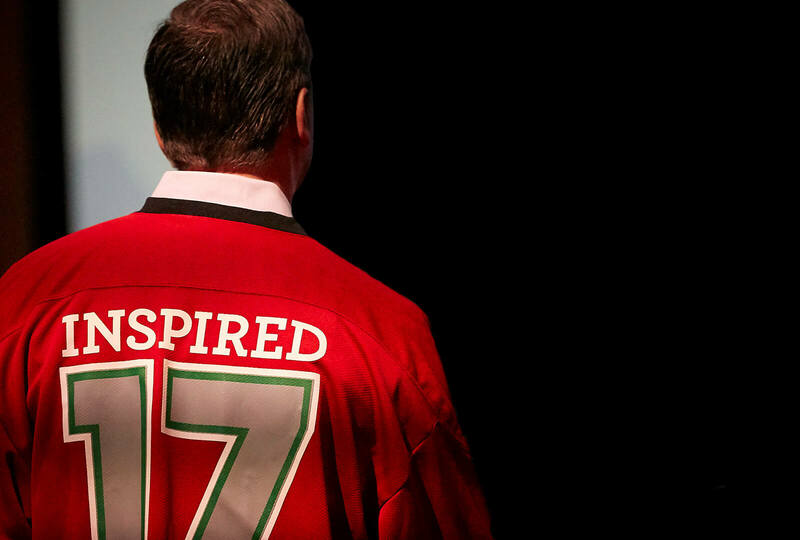 “The honor piece [of Pride of the Jersey] is more about showing family and friends,” says Pat. Among other things, the award must surely have been an affirmation that Bobbi’s recent career change was a good one. She came to the Knoxville Plant and to Hormel Foods just two years ago, leaving her career as a daycare worker behind.